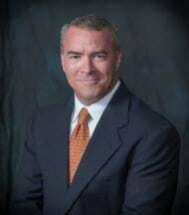 Douglas A. Booth is an attorney and shareholder at Sneed, Vine & Perry, P.C. where his practice focuses on real estate, estate planning, probate, guardianship and business law. He is a graduate of The University of Texas School of Law, and board-certified in both residential and commercial real estate law by the Texas Board of Legal Specialization. Prior to joining Sneed, Vine & Perry, P.C., Mr. Booth was shareholder and president of the Law Offices of Douglas A. Booth, P.C. where he practiced for 20 years. Mr. Booth handles all types of real estate transactions, both large and small, including purchase and sale, and development and financing. Mr. Booth also assists clients with the purchase and sale of closely-held companies and has a wealth of experience in the areas of estate planning, probate of estates, business formation and business law. Sneed, Vine & Perry, P.C. is located in the Prosperity Bank Building at 900 Congress Avenue, Suite 300, Austin, Texas 78701, in downtown Austin. Complimentary guest parking is available within one block.